N64 Magical Tetris Challenge (USA) "maximum score" in 03:31.47 by PoochyEXE. 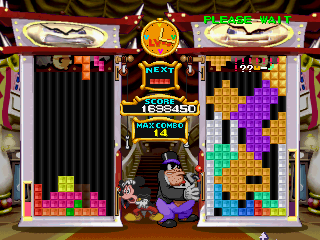 One of the few N64 titles to be in 2D, Magical Tetris Challenge is another port of Tetris, this time featuring Mickey Mouse. Watch as PoochyEXE completely destroys this short game, racking up as many points as possible before the AI tries to kill itself.